A massive drone Google was testing as part of a project to provide Internet service with unmanned aircraft instead of satellites crashed after it encountered an updraft and one of its wings failed, US accident investigators have concluded. The Solara 50 had just lifted off from a remote, desert landing strip in New Mexico on May 1 when it began experiencing control problems, according to a report by the National Transportation Safety Board. As a remote pilot attempted to stabilize the plane it hit a thermal updraft that propelled it upward and increased its speed, according to the NTSB. In spite of attempts to reduce power, the plane went faster than designed and the left wing began to fail. “The aircraft began an uncontrollable and erratic flight path roughly straight ahead in a rapid descent,” the NTSB wrote in a brief summary posted on its website. The report, dated Nov. 19, hasn’t previously been reported. After a section of the left wing came off, the right wing also failed. The aircraft struck the ground and was destroyed at 11:07 a.m. local time after about four minutes of flight. No one was injured. Google didn’t immediately respond to a request for comment on the report. The drone was built by Titan Aerospace, a company headed by former Microsoft Corp. executive Vern Raburn that Google bought last year. It has a wingspan of 164 feet (50 meters), according to company promotional material. It is supposed to fly above the weather for long stretches, where it could then beam Internet signals to earth as if it was a satellite. The company is in a race with Facebook, which also attempted to buy Titan, to build new Internet services around the world. 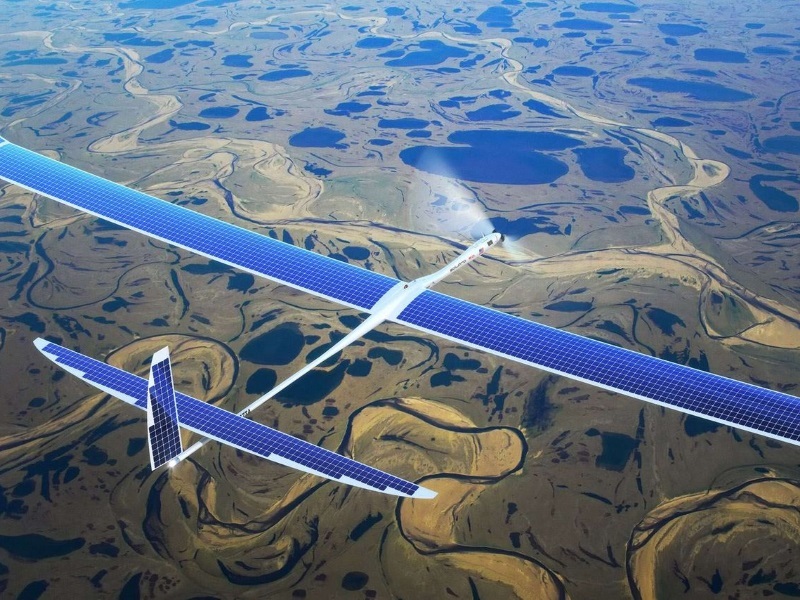 Facebook instead acquired U.K.-based Ascenta, which is designing its own high-altitude drones, for $20 million (roughly Rs. 135 crores).